An urban vacation isn't complete without a trip to the city's highest observation deck! I've been captivated by skyscrapers ever since my family took our first vacation to Chicago when I was just shy of eight years old. Those of you who've read a certain story of mine already know that I think the perfect place for a church or temple would be the top of a skyscraper. * I object to the renaming of icons. I shall continue to call it the Sears Tower. 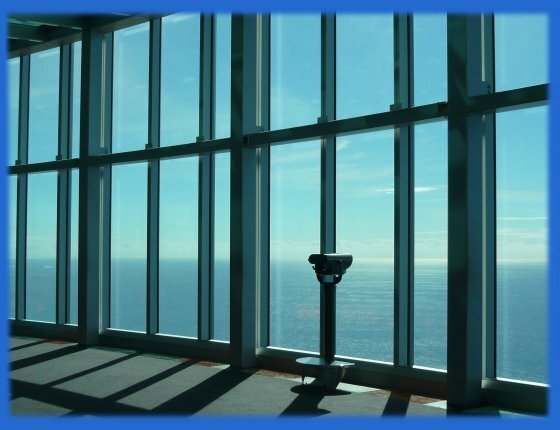 ** This is the current highest observation deck in the world—yep, higher even than Burj Khalifa.